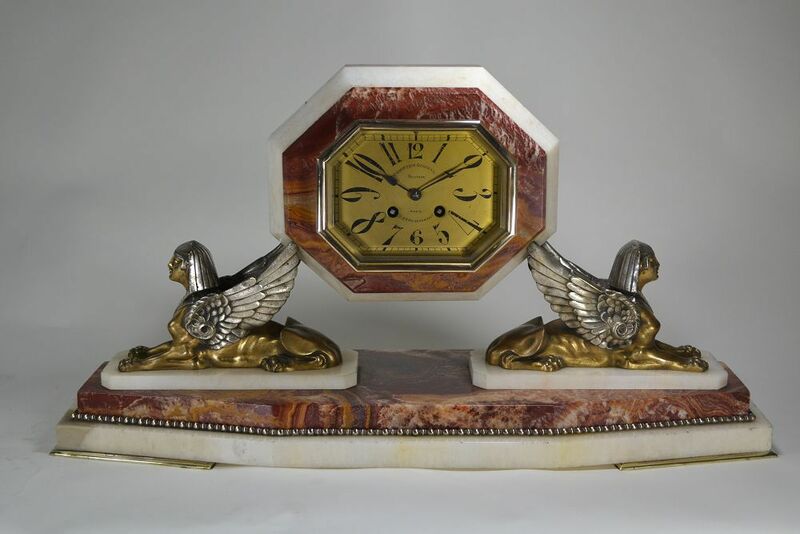 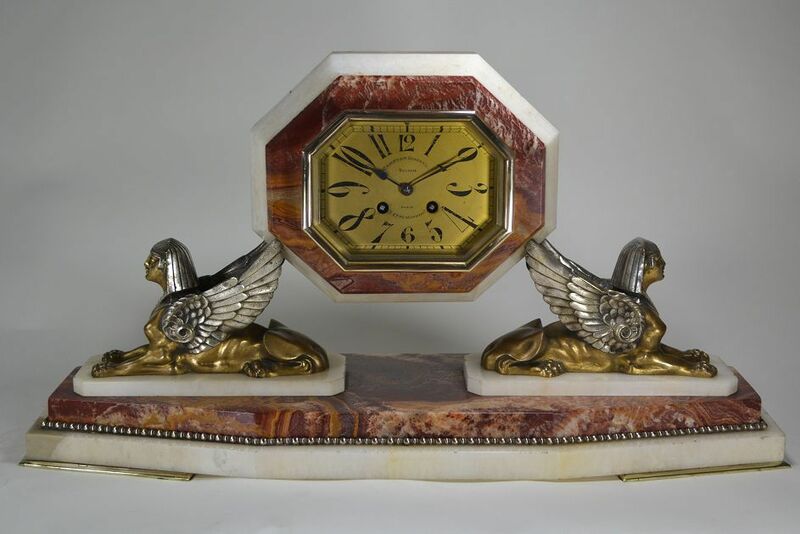 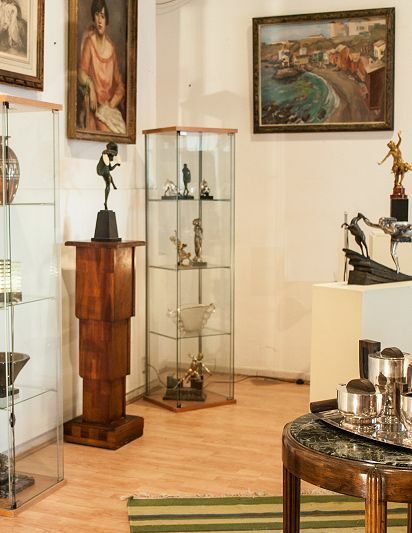 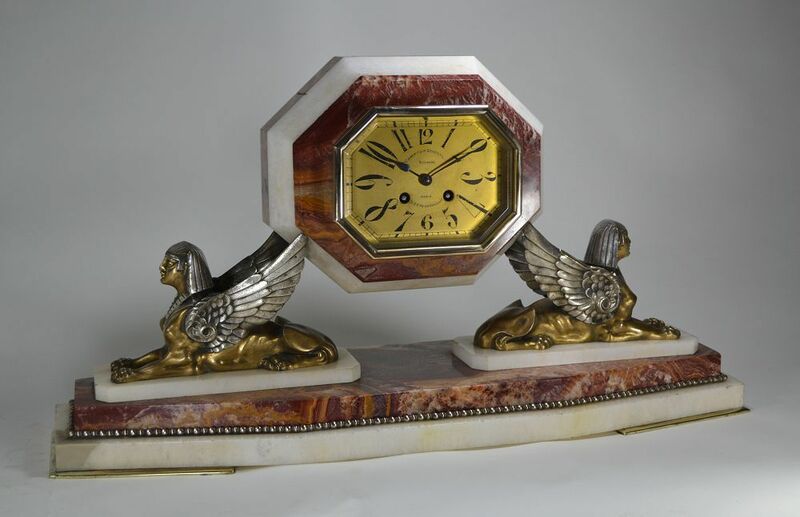 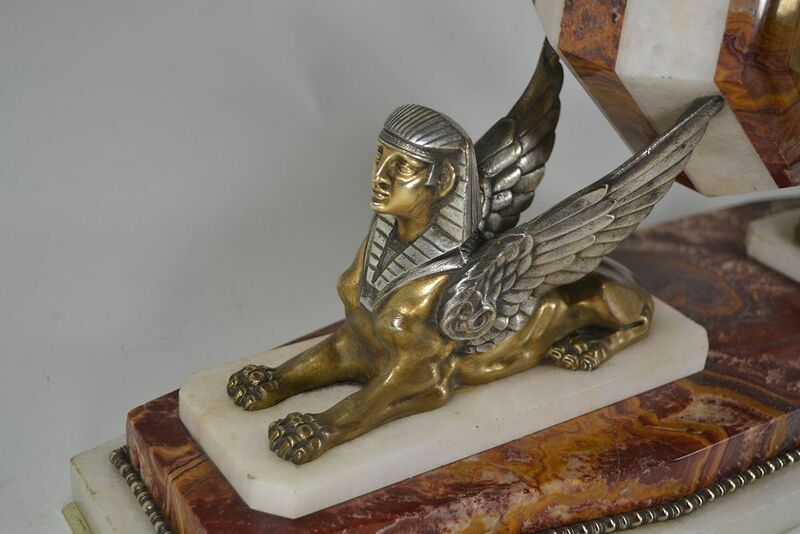 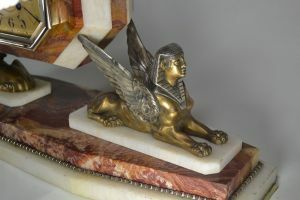 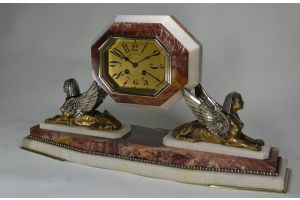 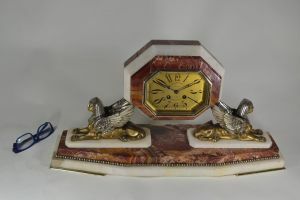 A bronze and marble art deco revival clock. pink / red and white marble. 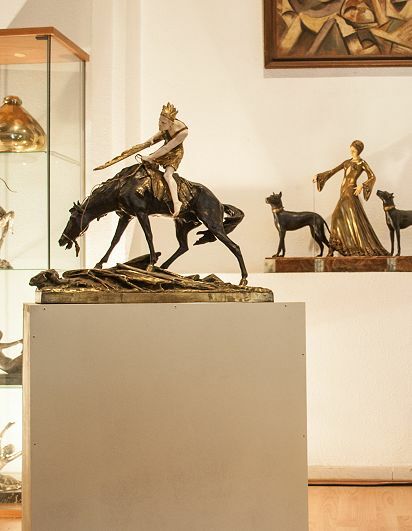 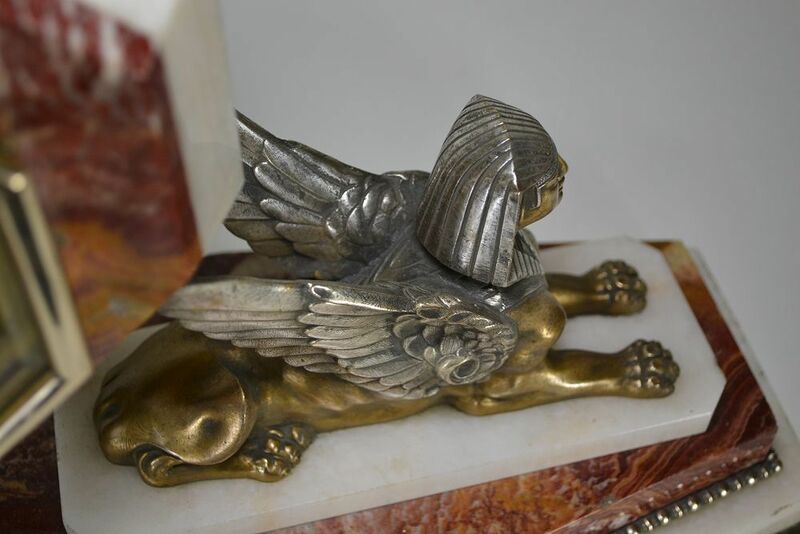 Double patinated gold / silver bronze sphynx.